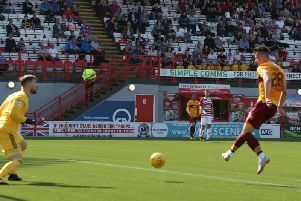 Motherwell won their fifth league game in a row on Wednesday night with a 2-1 triumph over St Mirren in Paisley thanks to goals by Jake Hastie and Allan Campbell. Motherwell go up two places to seventh in the Scottish Premiership table, just four points behind sixth placed St Johnstone. A brilliant night for the Steelmen!